Spectacular 4 bedroom, 4 bath all block home perfectly located just steps to the beach in Mark's Landing. 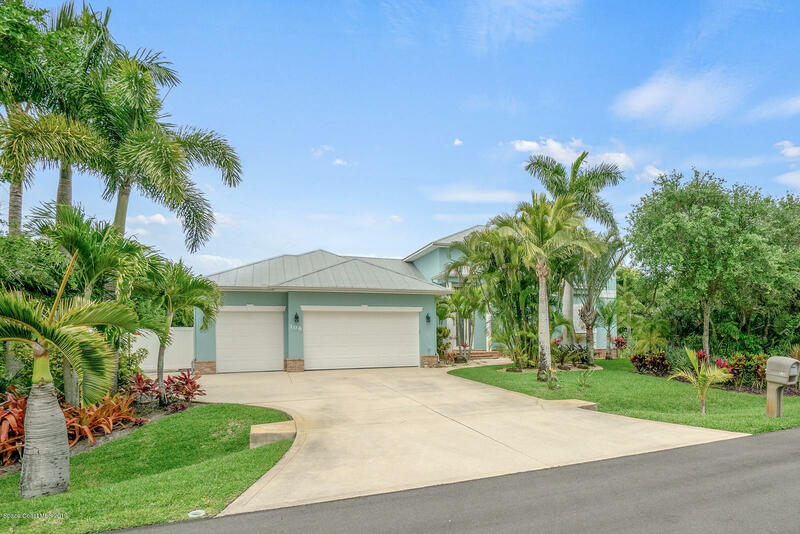 Ideal for Florida Living with 1st Floor Master Suite, 4 full baths, inviting kitchen with dining nook . The open family room overlooks the BRAND NEW spacious tropical lanai with heated pool. There is also an upstairs game area outfitted with bar, full bath, flex room for office, gym, or 5th bedroom. The newly renovated upstairs balcony overlooks the pool and backyard. You will appreciate the privacy this home offers amongst the lavish landscaped .71 lot with,oversized 3 car garage + boat parking pad.